The top 12 highest scoring bucks will be final scored at the 2019 Dixie Deer Classic and awards will be presented at the Dixie Deer Classic (March 1-3) after scoring is completed. Please see Rules and Regulations (below) for more details. We would love to hear from each hunter about their hunt! So we are asking you to furnish us with your “And There I Was” video. This video is as simple as it sounds, just share the story of your hunt on video with us! Hunters must hunt only in North Carolina where they have legal rights to hunt. CTO does not provide property on which to hunt and has no duty to provide property on which to hunt. All rules and regulations of the North Carolina Wildlife Resources Commission (NCWRC) apply to all hunters. Deer may only be harvested with legal means during the season in which the hunt occurs during legal hunting hours. All NCWRC laws pertaining to validating a harvest and recording authorization numbers apply. No deer may be taken in an illegal manner. Deer must be checked-in and scored within 48 hours of harvest. Check-in and scoring must be recorded at specified locations statewide (please check website and/or with your local chapter for these locations). Hunters will receive an initial score at time of check-in. Hunters with the 12 highest scoring (typical) bucks will be subject to a final 3rd party score at the 2019 Dixie Deer Classic using the Boone & Crocket scoring system. Attendance at the 2019 Dixie Deer Classic is required to be eligible for all prize categories. Each participant will only be eligible for one of the top three prizes. Hunters 16 years of age and older must have completed and passed a Hunter Education Course prior to hunting in this tournament. A Hunter Education Certificate number and WRC number is required on the scoring form. All younger hunters are encouraged to complete and pass a Hunter Education Course prior to hunting at any time. Each hunter and adult hunting partner, if any, will be required to sign a legally enforceable statement swearing under oath that he/she harvested the deer that he/she is entering. 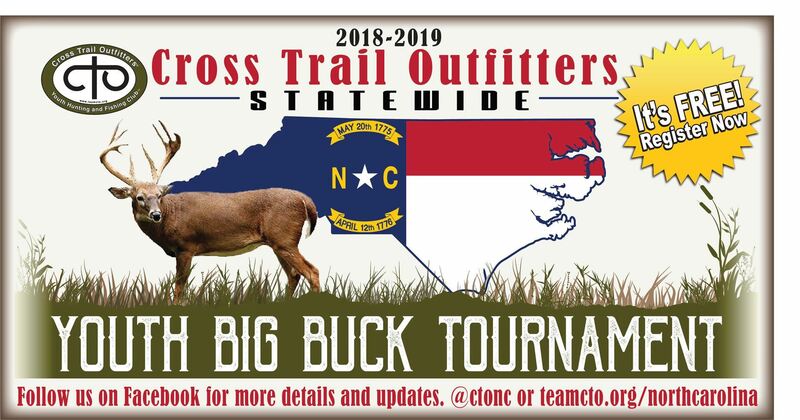 Any hunter participating in the CTO Big Buck Tournament may be subject to verification by polygraph and agrees to do so by registering for this tournament. Failure to pass the polygraph test will result in disqualification. Prize winners may be subject to additional verification at the discretion of CTO. Failure to submit or consent to verification will disqualify the hunter’s deer submission. A photograph of the youth hunter along with his/her deer harvest is required to be sent via email or text to tournament headquarters within 48 hours of harvest. Contact Jason Mitchell at jmitchell@teamcto.org or text: 704-913-8413. Any photos/videos obtained by CTO during the tournament may be used in promotional materials and CTO reserves the right to copy, publish, reproduce and distribute these images exclusively for the use of the organization according to its non-profit mission. ANY PICTURE TAKEN BY A PARTICIPANT OR VOLUNTEER MUST BE APPROVED BY A CTO REPRESENTATIVE BEFORE DISTRIBUTION.